This might just be our most exciting platform release yet. We are officially rolling out our new video player, with support for Ultra-HD video formats, variable playback speed, social sharing and downloading through the player, true adaptive bitrate streaming, thumbnail images displayed when seeking, and more. This is a major change across our entire platform, and marks a huge step away from the Flash player it’s replacing. Keep reading to get the full scoop on our new player! Updating a video player for a video hosting platform is no small undertaking. It’s the most visible part of our platform, and it reaches millions of people worldwide. For the first time in several years, we decided to give our video player a more modern, streamlined look, and we really hope you like it. See what the new player looks like, and get all the details about what’s different, in this post. Have you ever wanted to collect emails for a mailing list or newsletter after a video has finished playing? Well, with SproutVideo’s post-play options and MailChimp’s embeddable signup forms, it is very easy. Just follow these simple steps, and you will be collecting emails in no time. New! 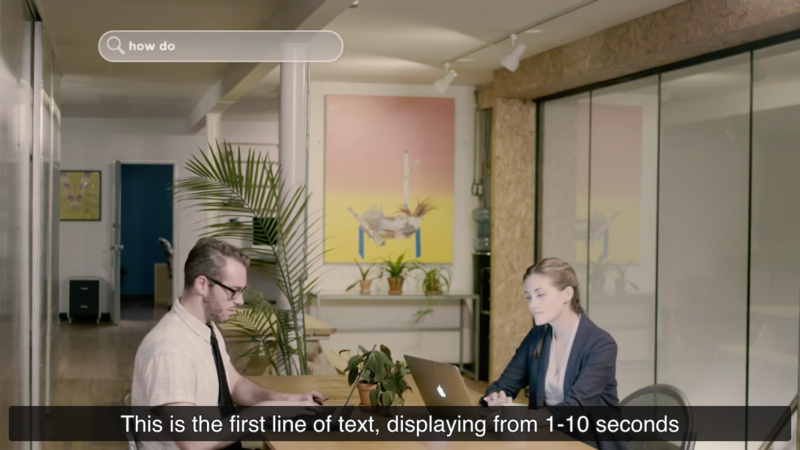 SproutVideo now supports subtitles on all modern devices, browsers, and operating systems. This ensures that no matter how your audience is viewing your content, they’ll be able to understand it. Keep reading for details on how to add subtitles to your videos, and important reasons for doing so. Right when a video ends, a viewer is likely to be highly interested in the topic or product being showcased. So, what action do you want them to take? The ability to sustain viewer interest after a video concludes is critical to driving traffic and conversions. Now, you can easily setup a post-play screen to display a custom message, link, or form after your video ends. Keep reading for tips on how to set one up for your videos today. Today we’re launching a beta of RTMPe streaming for video delivery. Until this point, we always used the progressive download method of video delivery. This provides several practical and security benefits. By using streaming video delivery, not only will large and long videos start playing almost instantly, viewers will now be able to seek to any point in the video without having to wait for that particular part of the video to download. To make seeking even easier, we’ve added a tool tip when the mouse is over the progress bar to let you know what time in the video it is. Streaming video delivery can also reduce the amount of bandwidth your account uses. When using progressive download delivery, the entire video file will be downloaded by the viewer even if they don’t want the full video. With streaming video delivery only the parts of the video that the viewer watches will be sent to the viewer. This can dramatically reduce bandwidth consumption in some cases. Progressive download actually downloads the video file to a temporary location on the viewers computer. With streaming video delivery, on the other hand, the audio and video data is only stored in the player’s memory buffer. The entire video file is never copied or stored to the viewers computer so the viewer can’t just copy it from the browser cache. This also prevents applications such as RealPlayer Downloader from downloading the video. With RTMPe streaming, the actual audio and video data is sent via an encrypted stream between our servers and the video player which can help prevent unauthorized viewing of videos. The RTMPe streaming beta is currently only available when the Adobe Flash player is being used. It it not available when using HTML5 video for playback or on iOS or Android devices. To Enable the RTMPe streaming beta, click on the ‘Account’ link in the upper right. Then click on the ‘Video Settings’ tab, check the ‘Enable RTMPe Streaming’ check box and finally click the ‘Update Video Settings’ button. Since this is a beta, there may be some glitches with video playback. If you notice any problems, please email us at support@sproutvideo.com and let us know! For the most recent news regarding the SproutVideo Player, please refer to this blog post. We’re happy to announce the release of a new version of the SproutVideo video player. This new player will give our users greater control over the look and feel of their players. Keep reading for more details about what’s new. We’ve enabled SSL support for our iframe based embed codes. You can easily convert any iframe based embed code by replacing the “http” with “https” in the src attribute for the <iframe> tag. As always, let us know what you think or if you have any questions! We recently introduced a new type of video embed code. Our new embeds use an <iframe> element to embed video in your site as opposed to an <object> or <embed> tag. This will be the standard for the SproutVideo hosting platform going forward. 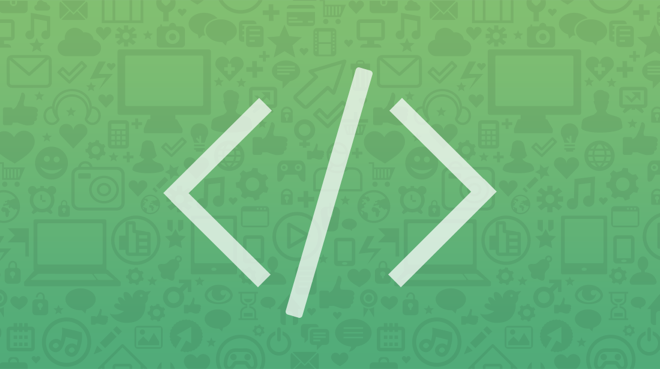 Read on to learn about the benefits of iframe embed codes!